Home » What is the Difference Between a HDMI Switch, Splitter and a Matrix Switch? This page has been designed to cover the differences between these devices in detail and also the benefits that they may offer. Even though their names might suggest similar functions, they do in fact perform quite different tasks. A HDMI Switch provides the ability to connect multiple source devices to a single HDMI input. Each source device is connected to a numbered input on the switch. The preferred source device can then be selected by remote control or by a button located on the unit, which is then routed out the single HDMI output on the switch which is then connected to the display. The drawback with older model displays is that they often don't offer enough HDMI inputs. With our ever evolving collection of technology, it is not uncommon to find yourself with more devices than inputs available. These units act much like the AV switches of last generation, with the excpetion that a HDMI Switch will offer a secure digital path ensuring absolutely no quality is lost from source to display. Depending on your preference, we offer models with and without an auto switch feature. This feature means that provided the other devices are powered off, the HDMI Switch will automatically switch over to the active device. 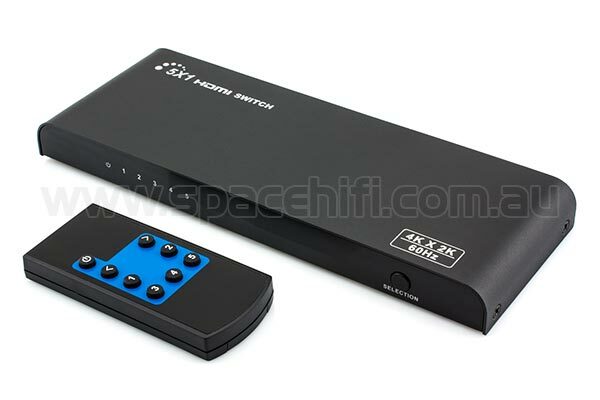 All the HDMI Switches that we have available are supplied with a remote control. The 3 in 1 out (3x1) HDMI Switches do not require a power supply as they utilise the 5 volt power provided by the input HDMI connection. The 5 in 1 out (5x1) models do include an Australian standard power supply. A HDMI Splitter will split the signal from a single source device to facilitate simultaneous connection to multiple displays. The output signal will be an exact clone of the original. 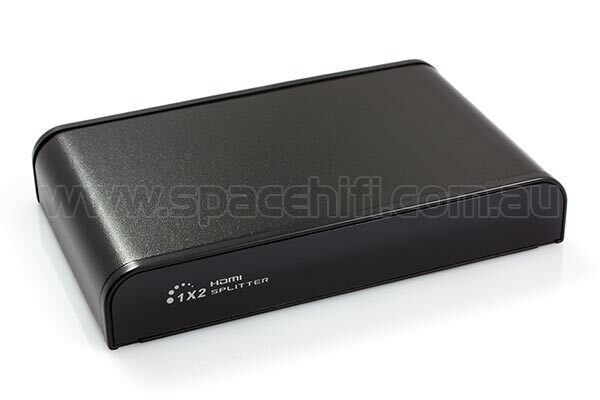 Also, each HDMI Splitter features an integrated signal amplifier to ensure the longest transmission distance possible. It is also important to note that since HDMI transmits via a pure digital signal path, there will be absolutely no loss of quality. A HDMI Splitter will also negotiate the connection much like the source device would if it was connected directly. This means it will utilise EDID (Extended Display Identification Data) to ensure the correct resolution is automatically selected. The HDMI Splitters that we have available will also offer a secure HDCP (High-bandwidth Digital Content Protection) connection. This is important as it makes these units compatible with a wide variety of consumer level devices available today. Some examples of compatible devices include Blu-ray players, HD TV's, gaming consoles and Foxtel etc. These devices offer the best of both worlds. 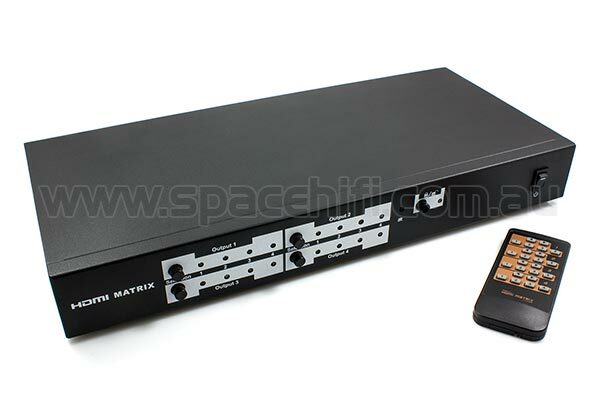 A HDMI Matrix Switch combines a HDMI Splitter and a HDMI Switch into a single unit. With reference to the above, these devices are a great solution to expand on the available HDMI inputs but also serve to split the signal to multiple displays. These units offer extreme versatility as the connected source devices can be selected in any combination to each of the connected displays (this can be a different source for each display or the same source can be shared among multiple displays). A remote control is supplied with each unit to make selecting the desired combination easy. A button is also located on the main unit to enable source device selection through manual pressing of this integrated button. These devices are powered (an Australian power supply is included) which means that the signal will be buffered and amplified to ensure the longest transmission distance possible. It is important to note that a HDMI Splitter or a HDMI Matrix Switch is only capable of sending an identical stream to each display. To clarify, it is not possible to send a set resolution (4K) to one display and a different resolution (1080p) to another display, or have HDR enabled for one output but not another. Likewise, these devices cannot send 3D to one display and 2D to another. Please also note that if two or more displays are connected to a HDMI Splitter or a HDMI Matrix Switch but one of these displays supports a lower maximum resolution, this lower resolution will be selected for all the connected displays. This is due to the fact that this unit must negotiate a format that is compatible with all the connected displays (lowest common denominator). We hope this guide has helped to identify the differences between these devices. If you have any further questions, please feel free to Contact Us and we will provide all the information that you require to make the correct purchase.